WILLEMSTAD - Employees of the Stichting Studiefinanciering SSC (Education Financing Foundation) support the investigation against their director Margrit de Freitas. Last year, they already complained anonymously about her leadership style, which is like a dictatorship, she is managing the foundation. Yesterday the staff did not want to be anonymous anymore. They indicated their support for the policies of the Minister of Education. 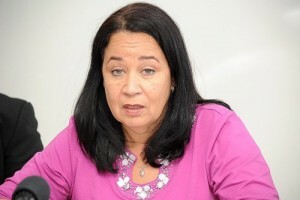 Minister Marilyn Alcala-Walle suspended De Freitas last week because of her financial policy.